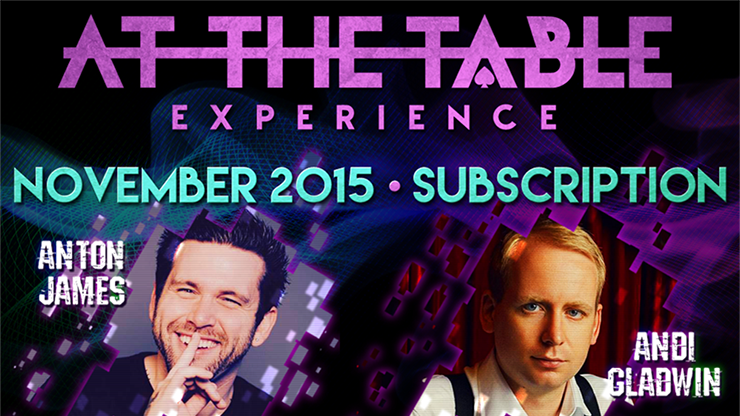 November's At The Table Experience is something to set your calendar to! We start you off with one of Florida's busiest magicians and creators, Anton James! Anton has made a name for himself by using his original material on countless stages across America and is now ready to share them with you! Get ready to have audiences eating out of the palm of your hands as he teaches you the tricks and tips to building the perfect show for any event! Known for his unbelievably fooling "Unshuffled" and more recently his "Pro Board" switching pad, we know for a fact that this is strong material that you won't want to do without. Our second half of November is equally as astonishing with our good friend and master Sleight of hand artist Andi Gladwin! With over 15 years of performing experience and a wealth of knowledge about the magic industry and history, Andi is going to help you master your card magic. From the perfect Push off to the smoothest and most natural sleights and routines which you can perform at your next event! See you there!